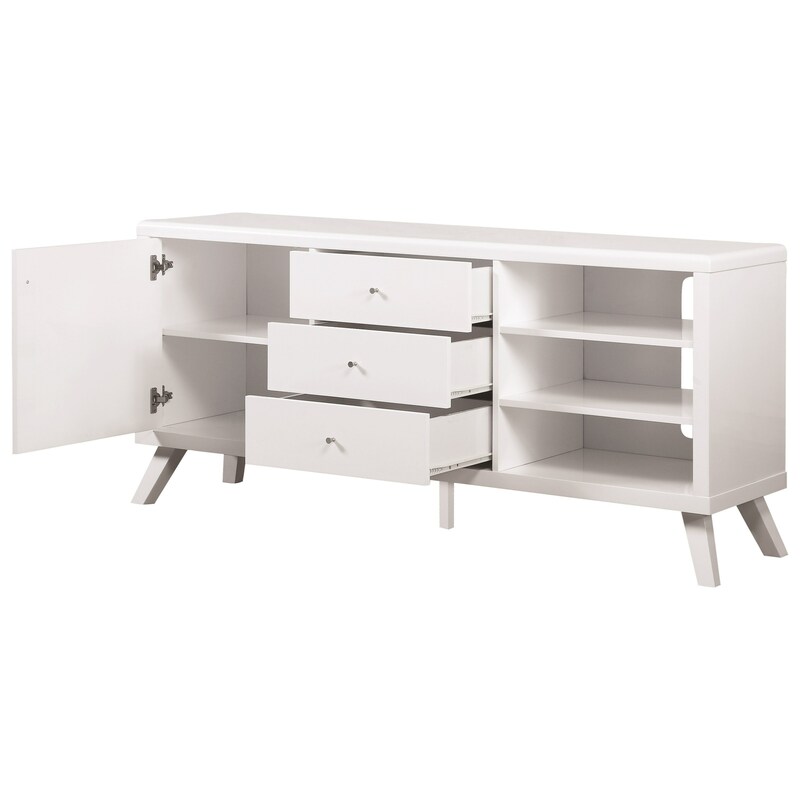 This contemporary TV console features a high gloss finish, with matching angled legs for a modern aesthetic that will complement any home decor. The stand can be used with up to a 60 inch television, while various storage drawers and shelves provide space to stow away media players and acessories in order to keep you living or family room clean and clutter-free! The TV Stands Contemporary High Gloss TV Stand by Coaster from Nashco Furniture - Nashville. We proudly serve the Nashville, Franklin, Brentwood, Clarksville, Green Hills, Davidson County, Williamson County, Tennessee area. Product availability may vary. Contact us for the most current availability on this product.